Cast off with us under the watchful eye of the Captain and his crew aboard the Duc d'Orleans II! 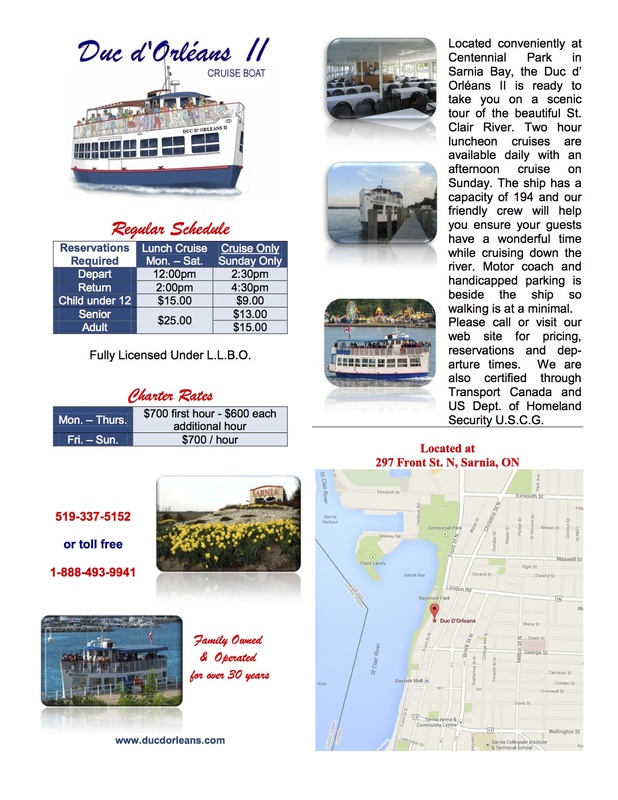 We offer daily two hour luncheon cruises (with commentary and music) on the beautiful St. Clair River and are conveniently located in downtown Sarnia, Ontario, just minutes away from the US border, casinos, horse racing and much more. 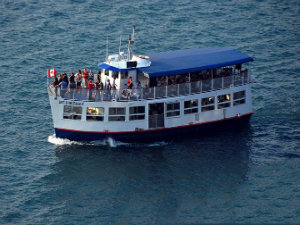 Motor coach parking is available beside the ship so walking is minimal and we are also handicapped accessible.